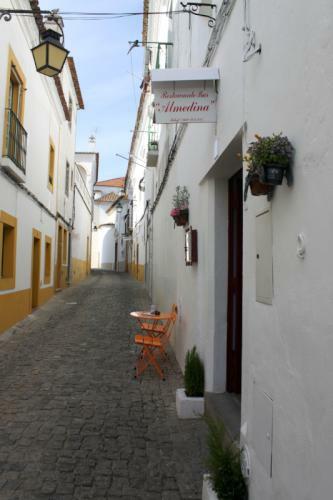 The Almedina Restaurant in Évora is located in the heart of the old town, amongst the cobbled streets and period buildings that characterise this popular UNESCO World Heritage city. 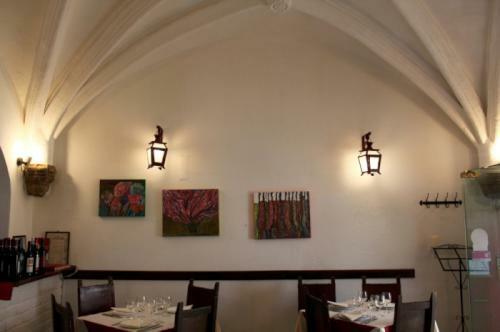 The building in which Almedina Restaurant is located is something of a historical destination in its own right, dating back over 500 years and offering a dining room full of traditional local character. The imposing ceiling of vaulted arches is made entirely of local marble and the embossed cross that is set within the stonework is a reminder of the building’s origins as the property of Évora’s Church. The dining room is larger than it looks, too, with its relatively unassuming frontage opening out inside into a sweeping L-shaped room that is full of diners at both lunch and dinner sittings. 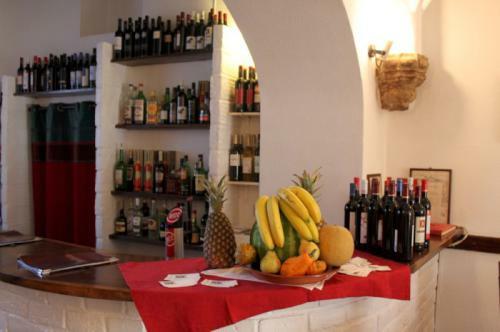 This is the type of restaurant in Évora that is kind on the wallet whilst providing a real education on the local cuisine. 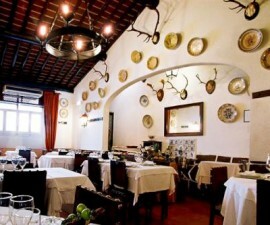 The food here is traditional, featuring many dishes that are particular to the Alentejo region. The daily chef’s specials are well worth a try and the a la carte options are plentiful and varied. The Bacalhau (traditional salt cod, which is very popular in Portugal) is excellent – opt for the Bacalhau Divino to taste it at its best. Roasted lamb stew is another favourite, the Sea bass is delicious and the Migas Alentejanas, a type of fried corn bread mixed up with tender pork and orange, comes highly recommended. 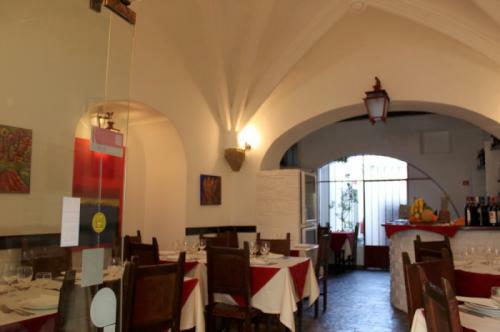 Service is excellent at Évora’s Almedina Restaurant, with the front of house staff giving their visitors a warm welcome, eager to please with suggestions from the menu. 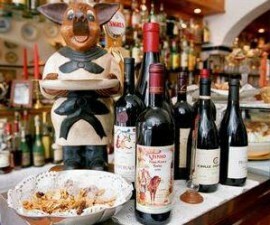 Ask for recommendations from the wine list to match your meal and they will be happy to help – though it is hard to go wrong if you order any local wine from the Alentejo region, this being one of Portugal’s leading areas for wine production. The owners themselves take great pleasure in chatting with their customers and sharing their stories and wisdom both about the local area and the delicious cuisine from this region of Portugal. 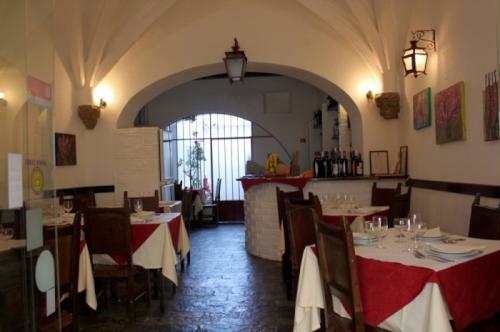 This is a good honest restaurant serving well-cooked, unpretentious dishes and well worth a visit while you are in Évora. 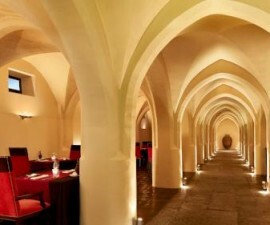 It is also kind to the budget with a three-course a la carte meal costing as little as fifteen euros per head.